Bands that explore the definition of rock and roll, breaking down genre and expectation. Think of a rock song. Any rock song. I’m going to guess that the song you chose has certain elements. It has at least one guitarist, an electric bassist, a drummer who’s locking down the beat, and a singer with a soulful voice singing about love, lost or won. And while there’s nothing wrong with that, today we’re going to delve into some bands that incorporate novel instruments and ideas into their music. You can already feel the rock vibe in their music. They’ve been getting steadily more progressive since their second to last release, This Side (2002). They’ve even gone so far as to include drums making them the most badass bluegrass band ever. Check out this song from their most recent album Why Should the Fire Die? But despite all of the variations in rock music that we’ve seen so far, there is one rock genre that really strays from its counterparts – electronic rock. The eighties was championed by both good electronica artists like Depeche Mode and bad ones like Erasure (if you can watch this without smirking, you are a superhero). The nineties saw great bands like Moby and the Chemical Brothers. The torch was held through the aughts by some forward thinking bands like the Flaming Lips, TV on the Radio, and Ratatat. 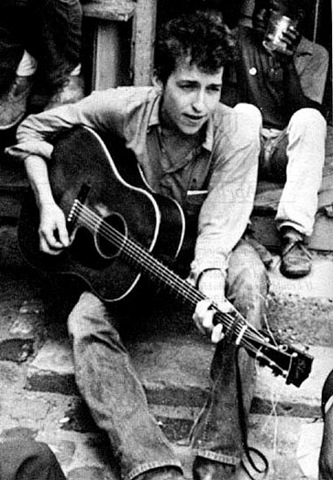 It’s really incredibly to watch him move from instrument to instrument, adding and removing layers as he goes. Roderigo y Gabriela – Two of the most accomplished guitarists I have seen, from Mexico City – mixing insane flamenco rhythms with rock music. They’ve covered Metallica, Led Zeppelin and others. Check out some of their music in “Other Music”. The Cat Empire – From Melbourne, Australia, these guys have managed to tame reggae and jazz and make them work together in their five piece rock band. DeVotchKa (Russian for “Young Girl”) – from Denver is probably best known for scoring the Little Miss Sunshine soundtrack, but they’ve got some great music, adding Romani, Slavic and Greek facets to a solid rock sound. 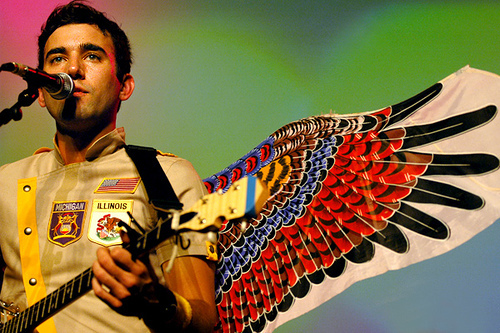 Sufjan Stevens – This artist gets enough weird points for embarking on a series of concept albums about the 50 United States (a project that’s currently on hold). But he’s known to throw some great instruments in his mix, from glockenspiels to horns and lots of strings. 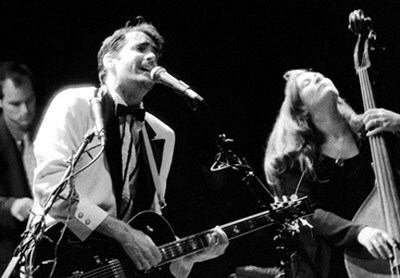 Beat Circus – out of Boston comes this great folk-rock band. They cover such a range of styles that it’s hard to pin point what you’re listening to, but definitely worth a listen. Owen Pallett – The artist formerly known as Final Fantasy, who I harbor a grudge against for saying in the Times Magazine, “[d]rummers ruin bands”. He goes on to say “If you’re in a mediocre band, just fire the drummer, and chances are you’ll have the best band in the world.” Other than that, he’s a fantastic artist who also uses a lot of strings, being a violinist himself, and writes songs with well thought out and elaborate orchestrations. …and if you listen closely to the track you can hear the sound of… are those drums?! It’s surprising how well they complement the song. OK, that’s really it. Check back next week for what great concerts are happening in New York’s backyard in March.